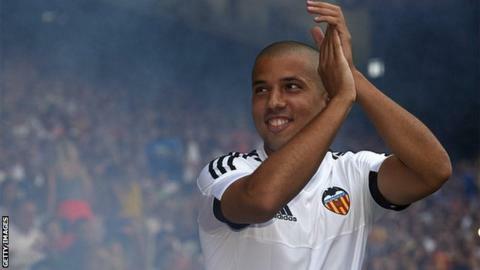 Valencia's Algerian midfielder Sofiane Feghouli has been voted the top African footballer playing in Spain. The 25-year-old has scored three goals for Valencia this season, two of them coming in the Champions League. He joined the La Liga club in May 2010 but was sent on loan to UD Almeria, returning after they were relegated at the end of the season. Since then the Algeria international has been a regular starter and an important player for Valencia.